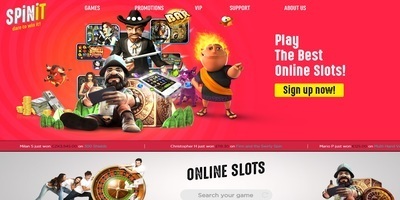 Spinit Online Casino (www.spinit.com) is a relatively new, extremely popular online casino from the Genesis Global Limited Casinos group. Claiming to boast over 1,200 different games, the website is particularly heavy on video slots, almost all of which come from highly-regarded software providers. The user-friendly interface is mobile ready and works with most popular operating systems, making this a great option for gamers in most countries. However, as with all casinos, there is fine print, and it is up to each user to decided if the site is best for them. Spinit offers 653 desktop slot options, including most popular titles from software companies like Microgaming, Netent, Nyx Interactive, Play’n Go, and Quickspin, as well as nearly 100 live dealer games. There is also a wide selection of jackpot games, online blackjack, table games, and online roulette. Finding the games you want is fairly easy, with a “search” function at the top of each page. While having the ability to group games by more than just overall category, would be a major improvement to the interface, it is nice to have the game titles and images displayed so largely. Another nice feature is the ticker, which displays real users who have just won, which games they won on, and how much – information that can be extremely relevant to gamers who stick to the old casino rules of “hot” and “cold” machines. One of the areas where Spinit has quite a bit of room for improvement is its deposit options. With only 17 accepted forms of deposit, some users may be frustrated when attempting to fund their account. Luckily, the site makes up for this by offering more than the average withdrawal options, including bank wire transfer, Mastercard, Neteller, Visa, Entropay, EcoPayz, Trustly, and Skrill. The lack of PayPal, however, is a major oversight, if a common one among online casinos. The site claims to have a 24-hour pending cycle, but user reports on this vary. One area ways Spinit stands out is with its wide range of bonus opportunities, which include deposit match bonuses, reload bonuses, a VIP Program, and a random number of “floating” bonuses.. The VIP Program is particularly nice, offering anniversary gifts, birthday bonuses, and monthly prize drawings as well as access to “premium” customer service. First-time players receive a 100% match on up to 200 EUR for their initial deposit, as well as subsequent bonuses for the next three deposits after that. 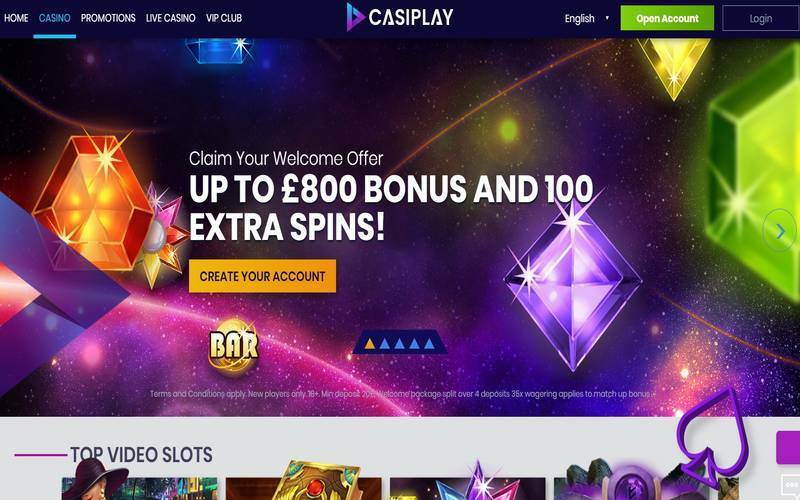 The welcome bonus also includes 200 free spins, but they are given out as 20 spins a day for the first ten days after the initial deposit. There are also a number of occasional promotion bonuses like the Monday Reload Bonus and Spinner’s Choice on games of the week. As a whole, Spinit.com is an excellent place for gamers to get access to some of their favorite games while enjoying a wide range of bonus options. Their customer service has been rated quite well, with live chat available most hours and both e-mail and phone options displayed quite prominently. With licenses by the Malta Gaming Authority and the UK Gambling Commission, users can rest assured that they’re gaming on a trusted, legitimate site, and with its beautiful, smooth interface, there is likely to be many people who want to get in on the fun.